Get your Gulf Shores Itinerary! Did you know that Alabama has beautiful, white sandy beaches with warm, clear waters and sunsets that make you consider selling your house, buying a tent and never leaving the beach? Who needs a job anyway, right? While some opt for beaches in neighboring Florida, our family prefers Alabama's coast, Gulf Shores & Orange Beach, to Destin or Panama City Beach. Because Gulf Shores still has the tiny, beach-town vibe of yesteryear and is known less for its raging party-ers, and more for family fun. This year the city banned alcohol from the beaches in an effort to keep the carousing away. Chain restaurants and strip malls don't litter the landscape. The coastline isn't hidden away behind a wall of skyscrapers and can still be seen while driving. Recently, the Gulf Shores Convention and Visitors Bureau hosted our family for a week of fun in Gulf Shores. 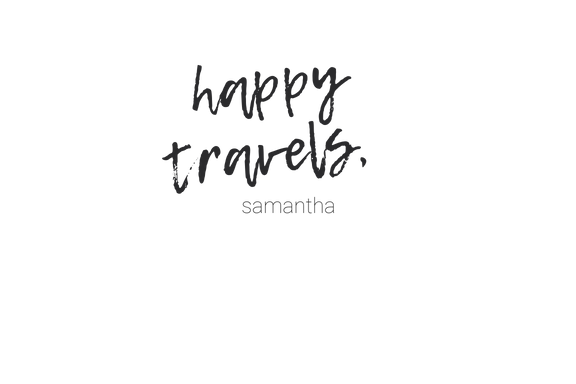 We tried out all of the attractions for you. 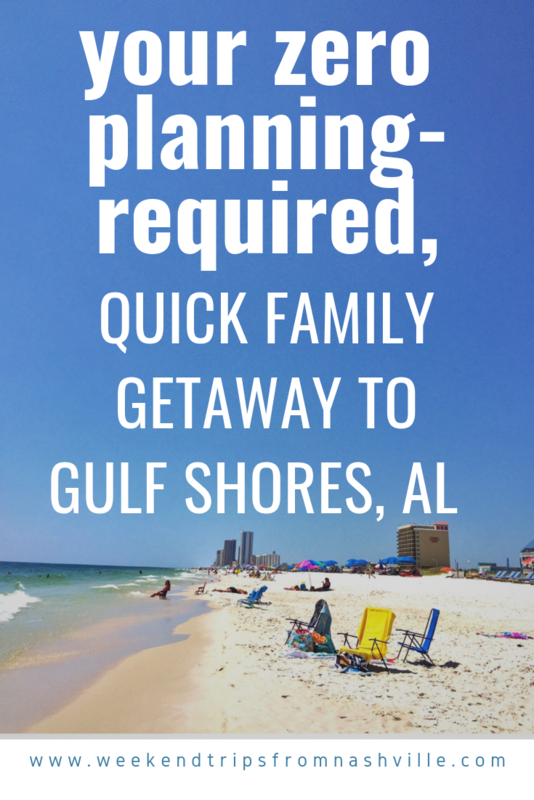 Here are the details you'll need to plan your next family vacation to Gulf Shores, AL. Things to do in Gulf Shores, even on a rainy day. Besides the beach, there are a wealth of family activities in the Gulf Shores & Orange Beach areas. Tip: If you're heading here in the summer, these places will give you a nice reprieve from sitting in the hot sun. These are also great things to do in Gulf Shores on a rainy day. If you're going during other times of the year, like early-spring or late-fall, these activities will give you options for colder days when beach play isn't an option. Go for the: air-conditioned arcade (or on a rainy day), the miniature golf with the erupting volcano replica, the bumper boats, and the laser tag. I refer to these places as kiddie Las Vegases. You can drop a pretty penny here, if you're not careful. Give everyone a set dollar amount and let it be a lesson in fun and budgeting! Go for the: 3-story go-kart track. In Gulf Shores, there's no other place I'd want to race my husband...*ahem...I mean, let my kids drive. Go for the: dolphin and eagle spotting and for the relaxing boat ride through the intercoastal waterway. Snacks are served on board for a nominal fee, however, you are able to bring your own cooler and snacks on board. Reservations must be made ahead of time. There are multiple sail times each day. On cold days, the Captain has blankets for guests. Go for a: shopping day when you need a break from the sun or on a rainy day. Located 15-20 minutes away from Gulf Shores, this is a Tanger Outlet Mall featuring many brand-name and designer stores. Go for the: amazing opportunity to tour the USS Alabama. Live the life of a sailor! Where did they sleep? Who did the laundry? See what the inside of a battleship was like. Also, get the chance to come aboard and tour a submarine. The experience can be lengthy, depending on how long you stay at each exhibit. Younger children may tire easily. There is a lot of climbing and walking. Be sure to bring snacks. There are many places to stay on the island. You can search AirBnB and HomeAway for good deals, especially during the off-season. Tip: Whenever we go, we prefer to stay ocean-side. Once, we tried saving a few bucks and staying across the street from the beach. Every time a kid had to use the bathroom, we needed more snacks, or we forgot something, it always felt like we were playing a dangerous game of Frogger. The sun has a way of zapping your energy; you don't want to worry about losing a kid or leaving a trail of beach towels in the middle of the busy roadway. We recommend renting a beach-front condo, something with a kitchen so you can stay in your bathing suit as long as possible, rather than getting dressed to go out and eat. Clean: It was clean and cozy and SPACIOUS! It was not fancy, but It had absolutely everything we needed, including a fully stocked kitchen, washer/dryer, and extra blankets for the cool spring nights. Easy check-in: Check-in was located off-site in another part of town, but the process was easy, as I received timely emails and texts to walk me through the process. Central location: You can even walk along the beach (5 minutes) to restaurants, like Sea-N-Suds and the Hangout and not have to worry about parking! Elevators were fast: If you've ever stayed in a beach condo during busy seasons, you know how much this matters. Waiting 10 minutes for an elevator can eat up a lot of your vacation time. We were there during Spring Break and never had any issues. While there was a security guard who monitored the pool and beach areas very well, the parking, walk ways, and elevator areas were open to all, as there was no key code required, except to the gym. Whew! Parking spaces are pretty tight for large SUVs and minivans. Brush up on your parking skills prior to leaving for your trip! We loved: the steamer pot. We loved: the Mexican Garbage Nachos. We loved: the extensive allergy menu. We loved: the Murder Point Oysters . We loved: that every table has a view of the bay. We loved: the eggs benedict served on a homemade biscuit. We loved: the sandy, waterfront venue made from old shipping containers. We loved: the artsy vibe and the local goat cheese dip. We loved: the no frills beachfront bar and grill. ThoseCrazyNelsons explore Gulf Shores to bring your family the best beach tips!